Maci is with The Kings of Rebellion MC but she's not a member or a daughter of the club. She's never acted like a club bunny and instead decided to help out the families and work behind the bar, rather than walk around naked and sleep with all the men. For that, she's earnt their respect and caught the eye of Baby, the son of the club president. Everyone knows it's only a matter of time before something happens, they watch the flirting and the way to two of them look at each other, but Maci never lets Baby get too close. She has to watch him choose club bunny's and whores over herself, time and time again. Maci won't be second best, so she decides to look elsewhere. However, everything changes when a shock attack on the club arrives and the men have to travel to hunt down an enemy. 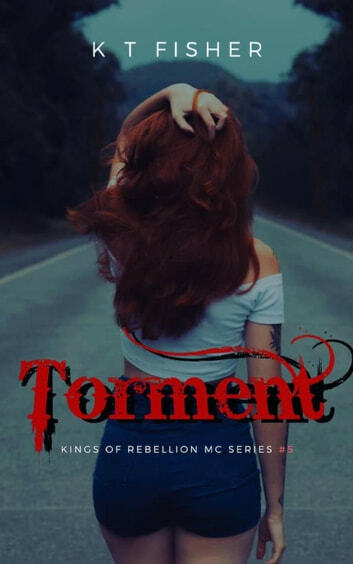 Maci is left vulnerable but as much as Baby wants her, can he trust himself to never hurt her or will he need to stay away and protect her from afar?